Further to my post of April 28, lets explore the next of the elements in gaining a more favourable “Sellability Score” i.e. a more saleable asset. That is, “growing companies i.e. showing a growth rate of 30% or more”. Can your business achieve it? 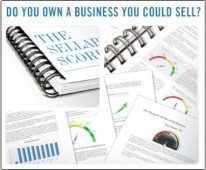 Has your business ever achieved? Is it possible to achieve? If you want to build a saleable asset, then this appears to be the sweet growth number potential buyers are looking for. And make no mistake, it’s a big ask, especially year on year. In all my time of business brokering, I’ve seen one business sold that was doing so well. They were demonstrating 40% growth. Hence it sold at 6 times as opposed to the usual multiple at present, which is 1-2 times. The use of multiples provides the recognition of the value, aside from the profit. How it is calculated is by multiplying the profit by the number derived as being fair and equitable, taking into account all the elements discussed to date. Hence is why the multiples make a big difference, especially if the profit is high, which invariably is it with a growth rate like >30%.